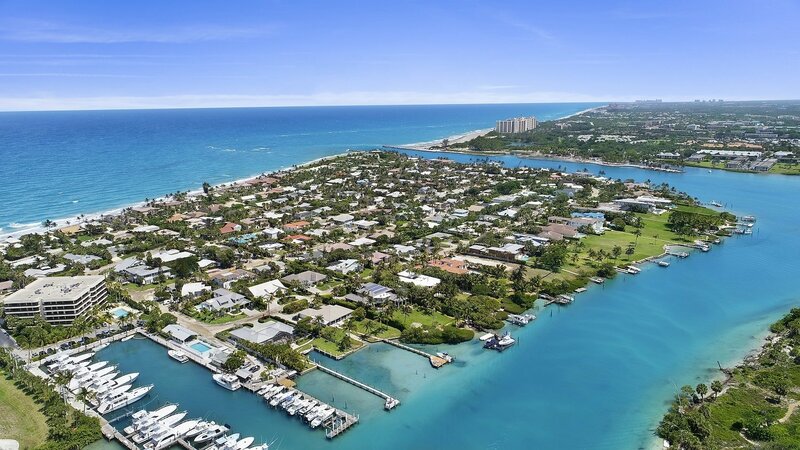 Although nearby towns, Jupiter and Tequesta have grown rapidly around Jupiter Inlet Colony, the residents cherish the town’s simple and peaceful character. Residents enjoy a community park as well as a private beach club. Jupiter Inlet Colony has its own Town Administration Building and Police Department. If you are looking for non-cookie cutter, custom homes, Jupiter Inlet Colony is the place to be! The town consists of 235 single-family homes that have been custom built. These homes vary quite a bit in size, 1,600 square feet on the small end to the largest boasting over 10,000 square feet. The price range of homes varies quite a bit between interior and beach-front homes.